by Moody, Raymond A., Jr. It has been a decade since the publication of Dr. Moody's landmark bestseller,Life After Life, and since he coined the term "near-death experience", or NDE. Today, Dr. Moody has studied more than a thousand new case histories of adults and children who have clinically reached the point of death and survived, and extraordinary new research has revealed more patterns of NDEs. Now, for the first time, Dr. Moody presents this wealth of new information to the general public information that uncovers secrets and opens the doors to a powerful message of love from the frontier between life and death. Inside you will discover: How recent findings in medicine, psychiatry, and sociology bring us closer than ever to unraveling mankind's greatest mystery: What happens to us after we die? Startling, newly confirmed phenomena such as: The experience of meeting one's loved ones in the afterlife and the ability to "tap into" knowledge of any sort. What the moving near-death experiences of children can teach us. Why NDEs inspire permanent change, greater appreciation of life, more concern for others, increased belief in an afterlife, and decreased fear of death. Why medical professionals are considering initiating aggressive scientific research into near-death experiences... and much more. Dr. Moody offers both answers and peace of mind to those who wonder about death and provides another groundbreaking volume in his ongoing study of life, death, and "beyond. 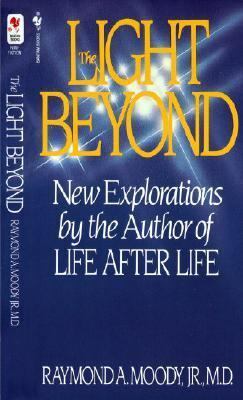 "Moody, Raymond A., Jr. is the author of 'Light Beyond', published 1989 under ISBN 9780553278132 and ISBN 0553278134.